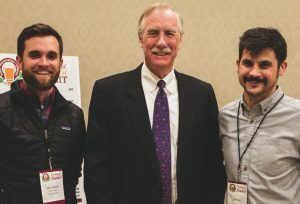 Sean Sullivan, executive director of the Maine Brewers' Guild, Sen. Angus King and Joel Alex, founder of Blue Ox Malthouse, at the gathering of craft beer industry professionals at the Holiday Inn By the Bay in Portland. Hosted by the Maine Brewers' Guild, the summit featured a new track of breakout sessions on hospitality and tasting-room management. 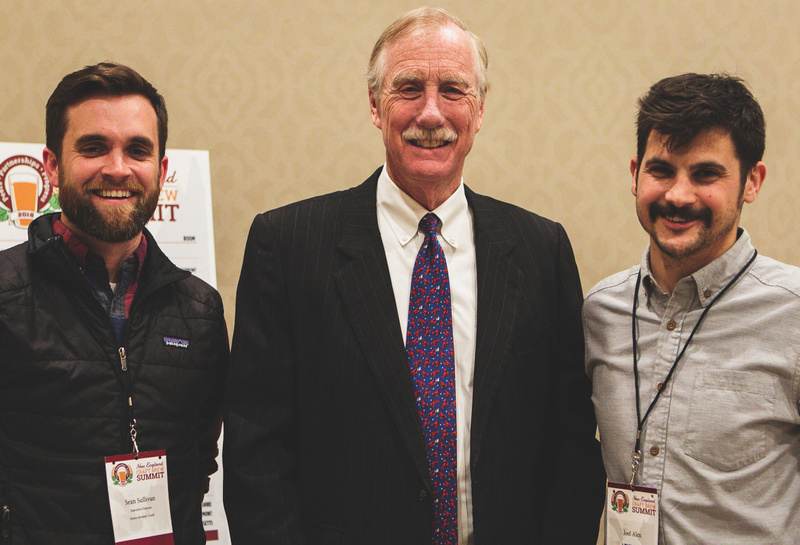 Sean Sullivan, executive director of the Maine Brewers’ Guild, Sen. Angus King and Joel Alex, founder of Blue Ox Malthouse, at the gathering of craft beer industry professionals at the Holiday Inn By the Bay in Portland. Hosted by the Maine Brewers’ Guild, the summit featured a new track of breakout sessions on hospitality and tasting-room management.